I’ve heard a lot about Konjac sponges, all the different versions out there and I finally gave in and thought I’d try one a month ago when I bought one in the Asos sale. 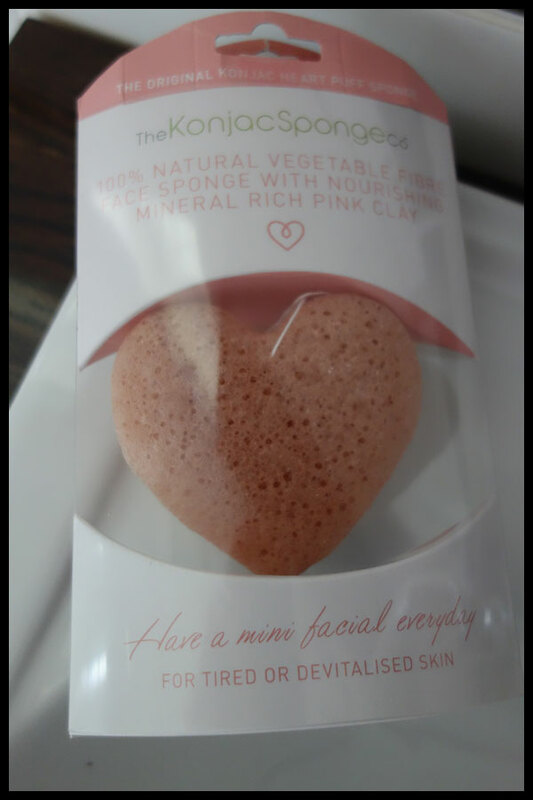 I got the pink heart sponge from the Konjac Sponge Company, who seem like the best place to buy one in the UK, I’m not sure if they sell worldwide though. The link to the one I actually bought is here though it says it’s out of stock so I’m not sure if that means it’ll be back in or if it’s gone forever from Asos. 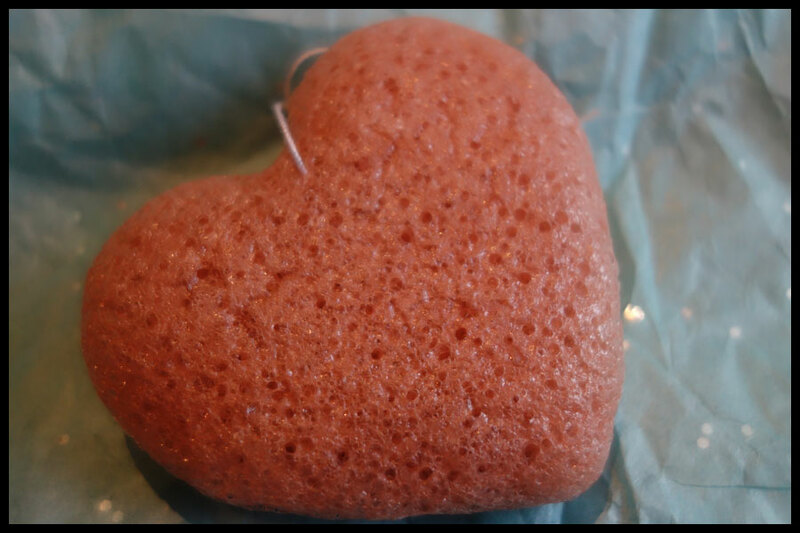 On the Konjac Sponge Company site they still have the heart one at £8.99 though the same pink clay one in a normal round version can be found here for £7.99 which I’d probably go for next time. There are a few varieties available for different skin types, the pink one says it’s for tired devitalised skin which doesn’t really fit my skin type but I read somewhere else that it’s good for sensitive skin which definitely fit for me. I’ve been thinking about changing my skincare routine because the face wash I use is expensive when I factor in the customs charges and it goes out of stock fairly often so something I can get in the UK is always a good thing. I also liked the sound of being able to use it with or without products, I can still use the face wash at times if my skin plays up but otherwise there’s enough in the sponge itself and it lasts for three months according to the packaging. The packaging for the product is fairly simple, it’s clear plastic with a bit of information on the top and bottom about the product. It means you can see the product from all angles which is always good if you’re able to see it in person before buying. There is a leaflet in the top part that folds out with information on how to use it, with step by step instructions. The main thing it says in there, aside from some more obvious steps about running it under water and rubbing it on your face, is that you shouldn’t ring it dry, which was helpful as I’d probably have done that. I just leave mine to dry on the top corner of the towel rail we have hanging by the string hoop at the top of the sponge. The sponge itself is really hard and hollow feeling when it’s dry and, once you’ve wet it enough to use it, it does feel soft and fairly smooth for a sponge that’s got clay infused in it. There’s enough texture for it to give a bit of exfoliation, you can feel the texture on your skin but it doesn’t feel scrubby. I’m not sure if this is the same with the other colour versions but this pink one feels really nice, especially when it’s the side that’s still hot. As I find almost all face scrubs are a bit harsh for my skin it was nice to have the scrubby feeling without it leaving my face red afterwards. It did also feel like it may have removed the dry skin from my face, I got the nice soft skin feeling of an exfoliator without the redness. So far I have only used this as it comes without any additional product, I have also used the TonyMoly Appletox Cream afterwards as I did most days before though I have found that some days I haven’t needed it as my skin is moisturised enough just using the sponge. 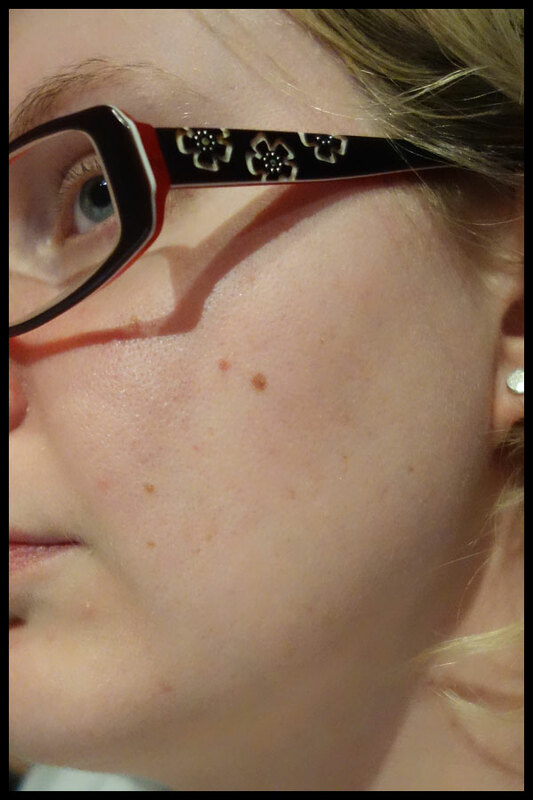 It has definitely left my skin feeling softer and the dry patches are disappearing if not already completely gone. I did comment on my skin feeling better in my CC cream review as I often found products like that stuck to the drier patches and made me feel self-conscious so I’ve never been able to wear proper liquid or cream foundation. With this I have actually worn the CC cream a few times and felt ok with it. I’m not suddenly going all out full coverage foundation as I quite like the look of BB creams but it’s nice to have the option without having to moisturise three times and worry about getting spots the day after because I’ve over-greased my skin. One benefit I did not expect to get from this was a reduction in the redness of my skin. It’s not one of the listed benefits and it’s something that I just expected to have most of the time as it’s a bit patchy and pink pretty often but in the past month I have definitely noticed this being reduced. 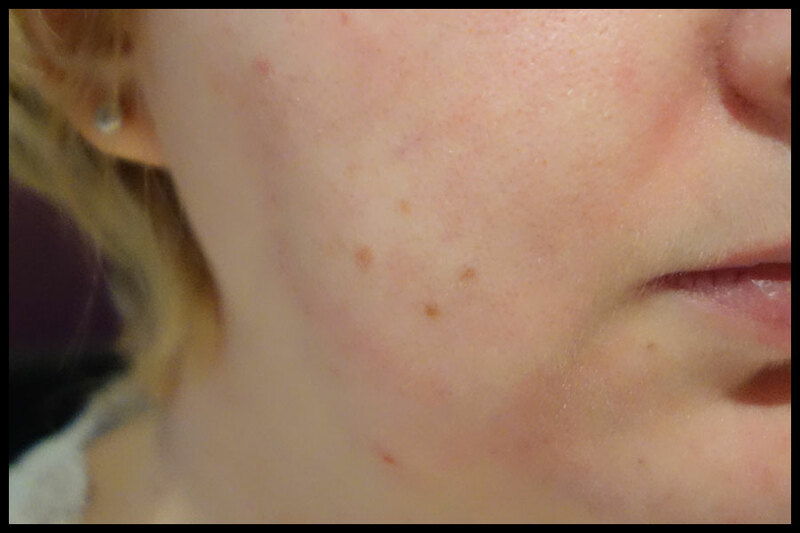 Unfortunately I didn’t take a before photo as I wasn’t expecting there to be a visible difference in my skin, I have my CC cream before photo and that was around the time I started using it. I don’t know how much the redness was something that others noticed but it’s something that I saw myself so not having that has made me happier about my skin. The official description of its benefits from their site says “Pure French Pink Clay gently purifies even the most sensitive skin and has a softening and plumping effect to improve elasticity and refresh your skin’s appearance.” I would have to say that so far it has lived up to everything in there for me. I think this is probably the version I would buy again, simply because it does work really well, though I might be tempted by the white one for all skin types once my skin is stable or the black one for oily and acne prone skin as the acne prone bit definitely applies even though the oily does not. I’ll see nearer the time when this one needs replacing. Overall I love this product. I will be repurchasing this in whichever version I can get and think it’s great. I have been using it for about a month (I started less than a week after it arrived on 18th August) so by now my skin would normally have reacted it was going to and it hasn’t. I have never found a product for cleansing my skin that works on all the issues I’ve had, the acne, dryness and the red patches and this has somehow worked for all three. So far so good and I am definitely converted to these sponges, I only wish I’d tried them sooner! I would say that these are worth a look if you want to try something new for your skincare routine, whichever version fits your skin best. I was always a bit sceptical for some reason and stuck with what I knew as I thought it was working well for my skin, though now I’ve replaced a few products with just the one and my skin feels better than it did before so fingers crossed it lasts! As it has been a month I think it’s unlikely for my skin to react to it as it’s normally within a week or two for me that issues appear. However if something does come up to make me change my mind about this sponge I will post another review. I might do another one in a couple of months anyway when it comes to getting a new one as a sort of comparison to how I feel about it now.